Tecno Mobile, a few weeks back, launched the upgrade to last year’s Camon C8, known as the Tecno Camon C9. While the smartphone is still in vogue, the brand has launched a Junior brother as the Tecno Camon C7. While the model number 7 stated alongside the Camon C7 clearly points out that it’s a junior brother to the Camon C9, you may be wondering what exactly is the difference between both smartphones. Well, that’s exactly what we are about to find out. 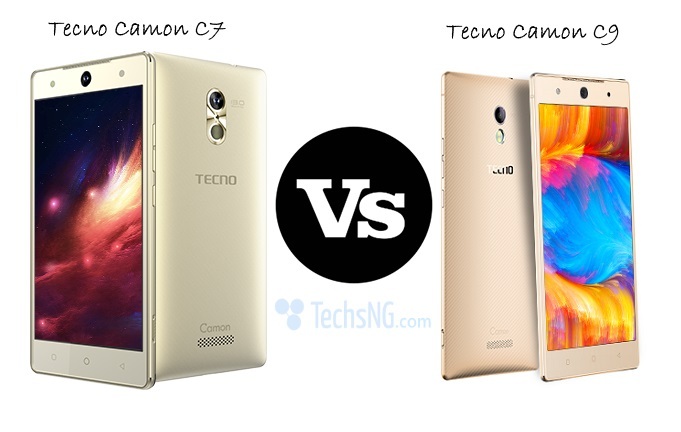 Tecno Camon C7 vs Tecno Camon C9 Specs! In finding out the difference between both smartphones, we will display their most handy specs in a table format. Thereafter, we will point out the difference which you may have noticed before hand. 2GB RAM, 16GB ROM expandable up to 128GB using MicroSD card. 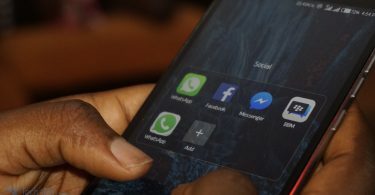 Looking through the table above, the major difference between both smartphones is the available network modes, display and battery. While the Tecno Camon C9 features 4G LTE connectivity which is gradually becoming a necessity, the Camon C7 doesn’t have that on board. Instead, the Camon C9 is only equipped with 2G (EDGE) and 3G network modes. The Tecno Camon C9 features a 5.5inch display with resolution of 1920 x 1080p (FHD), while the Camon C7 features a 5.0inch display with resolution of 1080 x 720p (HD). What this means is, you get better display quality on the C9. However, for a 5.0inch screen, users should be pretty okay with an HD display. In terms of battery, the Camon C9 packs a bigger battery compared to the Tecno Camon C7. While the former packs a 3000mAh battery, the latter packs a 2500mAh battery. 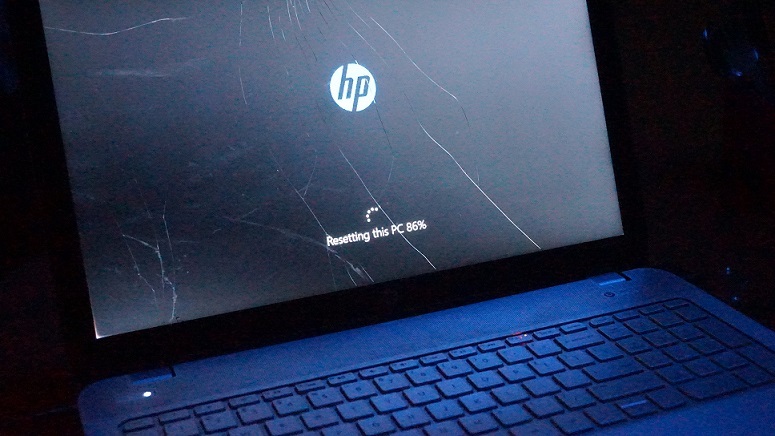 And BTW, while the battery on the C9 is non-removable, that on the C7 is removable. So, there you have it. That’s basically the difference between the Tecno Camon C9 and the Tecno Camon C7. The design, as seen in the image above, are pretty much same. The only noticeable difference is the additional ‘effizy’ added to the camera angle. You forgot to mention the Camon C7 is powered by a quad-core processor and the Camon C9 goes with an octa-core procesor. Nice job anyway. Thumbs up.